Dental fillings from Dr. Shamblott are a new experience for his patients. Most of them have never met a dentist so focused on making their tooth fillings experience so peaceful and relaxing. 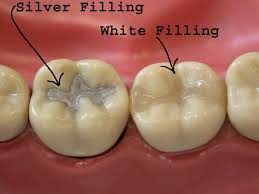 Tooth colored fillings are designed to treat and repair damaged tooth surfaces such as tooth decay and minor fractures. Tooth sensitivity can also be created by loss of tooth enamel and require treatment with filling material. Dr. Shamblott uses composite tooth-colored fillings to repair damaged tooth surfaces. Dr. Shamblott will determine the best form of treatment for your situation and discuss his decision with you. Dr. Shamblott offers a number of methods to help people deal with their dental fears such as video glasses to watch your favorite movies. Or you can opt for Sedation Dentistry; the use of an IV administered by a Certified Registered Nurse Anesthetist (CRNA). You can get your dental fillings in a state of deep relaxation or sleep.